Mr. Nebil DABUR is a Turkish national born in Gaza, Palestine. He holds a B.A. degree in Business Administration from the Faculty of Commerce and Economics, Birzeit University, Ramallah, Palestine. He received his M.Sc. degree in Economics from Middle East Technical University (METU), Ankara, Turkey in 1993. Mr. DABUR started his professional career as a researcher at the United Nations Relief and Working Agency (UNRWA) Field Office, Department of Development and Planning, Gaza, Palestine in 1993. He worked as Head of National Accounts Statistics at the Palestinian Central Bureau of Statistics (PCBS) in 1994-95. He is fluent in Arabic (mother tongue), English (both academic and professional) and Turkish. Mr. DABUR joined SESRIC as an Economist in 1996. He was appointed as the Director of the Economic and Social Research Department at SESRIC in 2005. He undertook office as Acting Director General of SESRIC from September 29, 2014 to March 26, 2015. On September 1, 2015, Mr. DABUR was appointed as Assistant Director General of SESRIC. He took up his duties as Director General of SESRIC on March 27, 2019. 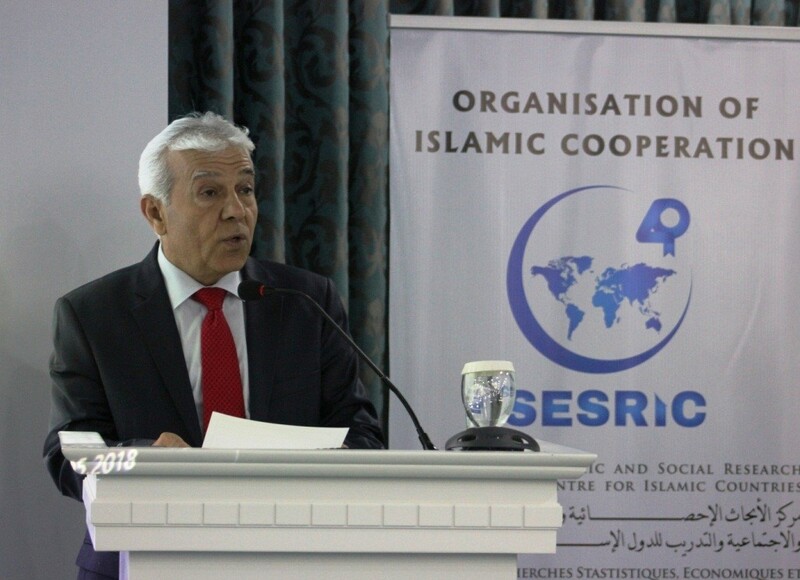 During his 23 years of service at SESRIC, Mr. DABUR has accumulated extensive professional experience in both the work of the Organization of Islamic Cooperation (OIC) and its institutions as well as in the socio-economic development affairs of the OIC Member Countries. During his work at SESRIC, Mr. DABUR has been involved in preparing technical background reports and research studies on a wide range of socio-economic developmental issues of concern to the OIC member countries with a view to analysing the situation at the OIC level and suggesting appropriate policy actions to be taken to address the challenges and strengthen intra-Islamic cooperation in the relevant areas. Mr. DABUR has also worked on issues related to priority areas/sectors of cooperation among OIC member countries, which are scheduled annually on the agenda of the related OIC conferences and meetings. These issues include, among others, trade, finance, poverty alleviation, education, health, environment, science & technology, transportation, agriculture, and tourism. He also participated and contributed to the preparation of important OIC official strategic cooperation documents in the field of health, labour, tourism, women and youth. Mr. DABUR has 16 articles published in various issues of the “Journal of Economic Cooperation and Development”, a quarterly Journal published by SESRIC. He has attended and participated in numerous international and regional conferences, workshops and seminars on a wide range of socio-economic developmental issues.